Gardening may be the key thing to lifting your spirits and battling depression. According to Psychology Today, tending plants can give you a sense of responsibility, provide you with something to nurture, keep you connected to other living things, and help you relax. What's more, when you exercise by working in the garden, your endorphins rise and your stress levels fall. In a study released by the Journal of Alzheimer's disease in 2016, researchers found that your risk of Alzheimer's could be reduced by various physical activities. The study measured the changes in the brain using MRI scans in correlation to increased exercise. It concluded that even low-intensity activities such as walking improved cognitive function by increasing gray matter in the brain. 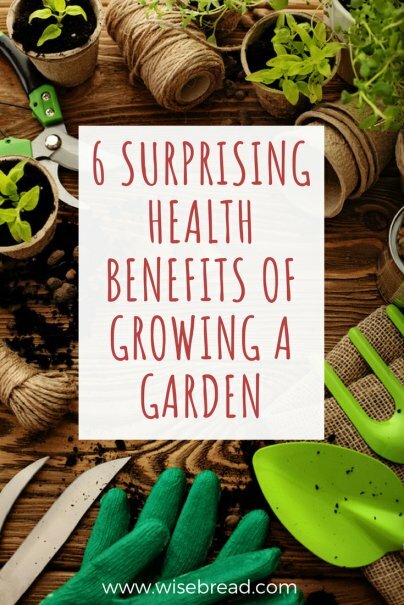 So even though gardening might not be as strenuous as attending a kickboxing class at the gym, this activity will help safeguard your brain as you age. Have you been feeling a little lonesome? Explore getting a plot in a community garden. There, you can happily toil along with others as you maintain your growing fruits and veggies. You can also exchange produce, compare techniques, and swap seeds. Those interactions have real health benefits. Researchers at Brigham Young University who analyzed existing studies found that while loneliness is associated with early death as much as obesity, socializing with others can help you live longer. So even on days when you're not up for small talk, head to the community garden and you might just add years to your life. Does your doctor think you are getting enough vitamin D? If not, remember that regular sun exposure will provide vitamin D — which regulates your calcium levels and helps you maintain healthy bones and teeth. Be sure to use sunscreen, of course, but soak up those rays when you can. For a long time, I watched my neighbor, May, squat and pull weeds from her lawn. Why didn't she use a chemical to do the work for her, I wondered. As it turns out, it's meditative. She enjoys the birds, the sunrise, and the satisfaction of getting rid of weeds. She finds it therapeutic to work repetitively, one weed at a time. Mycobacterium vaccae is the scientific name for a healthy bacteria that naturally lives in soil. Amazingly, it has been found to trigger the release of serotonin in humans and mice, and that can elevate your mood and decrease anxiety. How cool is that? More studies are being done to determine how effective M. vaccae is at treating mental health disorders via pill, vaccination, or inhalation, but until you can purchase this in the vitamin section of your local grocery store, you might be able to soak up the benefits by getting your hands dirty in the garden.